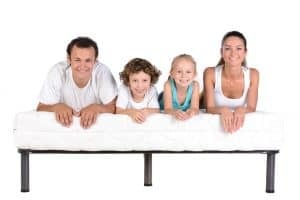 With more and more people everyday looking for the best hybrid mattress, it seems that the popularity of once unprecedented spring mattresses is starting to fade. 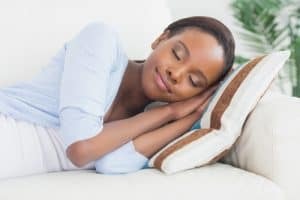 The benefits of pocket coil mattresses, as well as hybrid ones, are much discussed, but traditionalists still claim that springs have their merits. So, coil mattress vs spring mattress – let’s see how there two battle it out. Don’t feel bad or uninformed if you’re unfamiliar with the differences in mattress coils, or spring, as some call them. Springs are the parts that provide support to the bed, and that’s all there is to it, right? Not quite. Traditional mattresses, mattresses of the olden days, have steel springs that create a network in the mattress. They are exposed. On the other side, pocketed coils have fabric around them, they are wrapped in it, and each pocket coil has its own casing. Pocket coils work independently from one another, as opposed to the network of spring coils. That is the primary benefit of pocketed coils – independence. 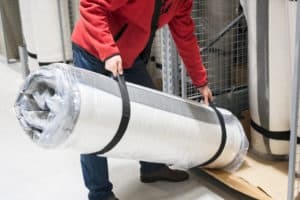 As we’ve already said, an innerspring mattress possesses a series of springs connected into a single, homogenous unit. The coils used in the production of these mattresses have the shape of an hourglass, meaning they are wider on the bottom and the top, and rather thin in the middle. This kind of shape can cause problems with sturdiness and sleep support. A pocketed coil does not feature an hourglass shape. It is, on the contrary, uniform from the bottom to the top. No narrow bits, same width throughout. Due to this uniformity of shape, there are no weak points, the coils are stronger, and this makes sure the bed holds up for a lot longer that the regular, innerspring mattress. We have already briefly touched upon the matter of sleep support, but let’s take one brief moment to explain it further. The difference in the support of spring mattress and pocket coil mattress stems from their basic build design. Because the coils of an innerspring mattress form a single network, the distribution of weight is, again, uniform, meaning your weight is not distributed independently over different areas of the mattress, as it should be. While you lie down, the entire surface of the mattress shifts, making for a not-so-natural sleeping experience. When it comes to pocket coil mattresses, the entire system is independent, coil to coil. While you lie down, those coils pressed down with your weight will react, and those that aren’t wont. This way, the mattress responds to night movements, relieving stress from the pressure points of your body, distributing the weight evenly, making your good night’s sleep as comfortable as possible. Due to all of the abovementioned, you can pretty much guess the conclusion of this aspect of spring mattress-coil mattress bout. Let’s illustrate this with an example – you’re having an early night, and your partner’s coming home late. You might be down with the flu, while your partner is tormented with a huge workload. Whatever the situation might be, you’re sound asleep in the bed, your partner preparing to sneak in underneath the covers. With innerspring, the sneaking in part won’t be as successful. It can squeak, it can bounce, it can create all kinds of unpleasant disturbances. 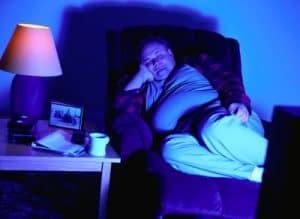 Even when you get used to it, and not wake up at the noises, it can still distort your deep sleep. With pocket coil mattresses, you will hardly ever hear or feel a thing as your partner does his or her best to creep into the bed. No squeaks, no bouncing, only minimal motion transfer and sound sleeping for both. Prices have long been the last stand of traditional, innerspring mattress advocates. And it has been true for some time. In the beginning, when pocket coil mattresses were new, just emerging on the market, the production costs were high, and they were quite expensive. Nowadays, however, we are witnessing a shift in mattress prices. Pocket coil mattresses are still more expensive than innerspring mattresses, but only a bit more. And, when you get to thinking, is it really that bad to pay a tad more for a mattress that will improve sleep, provide adequate support, and last longer? What it lacks in initial costs, the pocket coil mattress sure makes up for in the long run. It does seem like the pocketed coil mattress wins the fight without even breaking a sweat. The benefits are so numerous you’d be hard pressed opting for a traditional innerspring mattress. And, if you’re looking to buy, you’d also struggle to find a better place than Mattress Makers. We are a family business, dedicated to one thing, and one thing only – the quality of your sleep. That is why we do our best to make the best possible mattresses – we want you to sail away to dreamland every night. So, if it’s pocket coil you want, we’ve got a hefty selection. Stop by our store today!